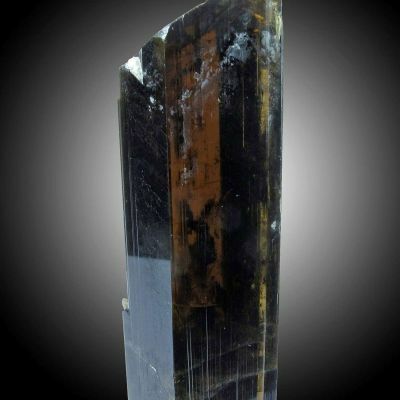 This is a particularly fine specimen, with a stumpy vertical stalactite that is complete all around. 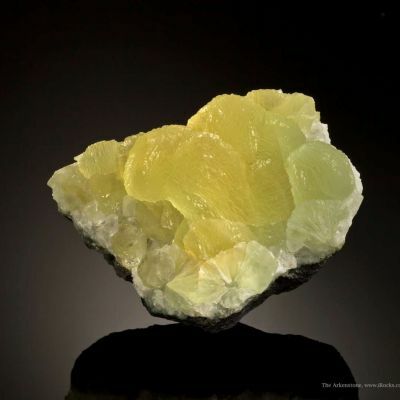 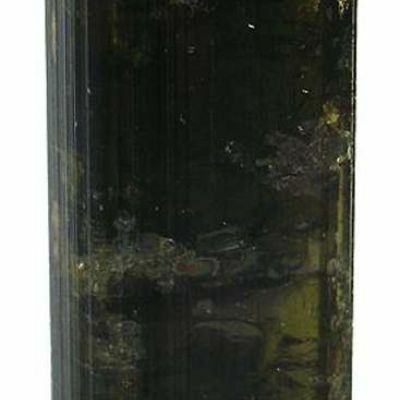 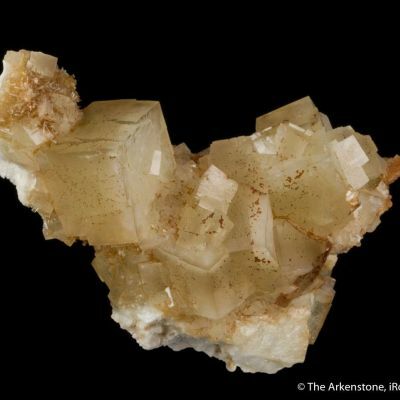 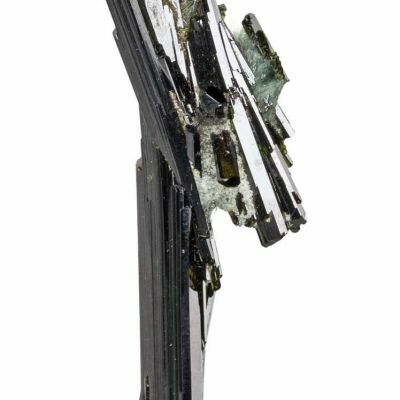 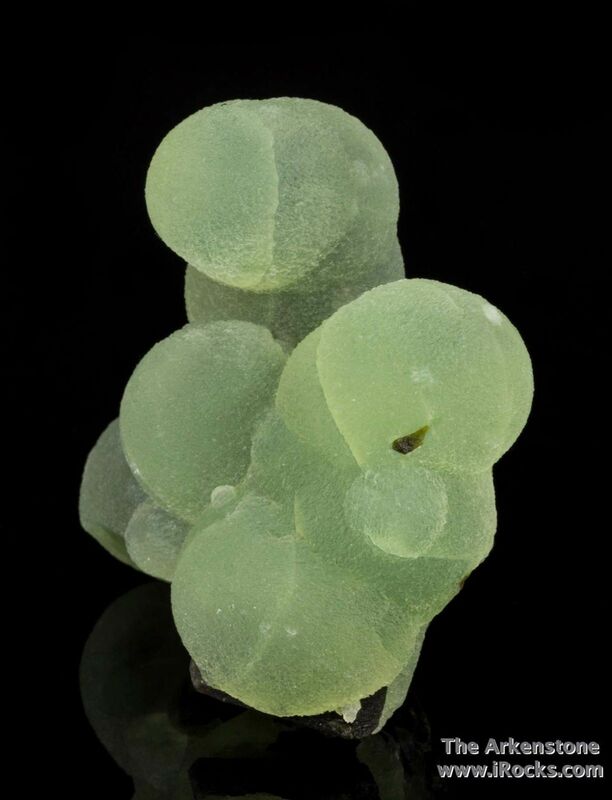 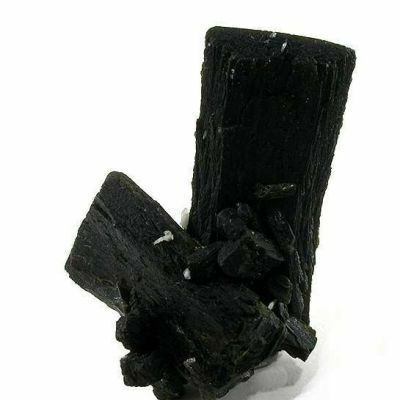 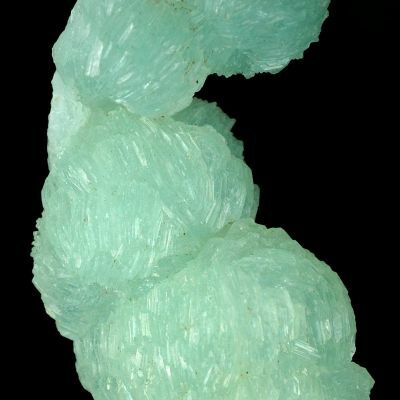 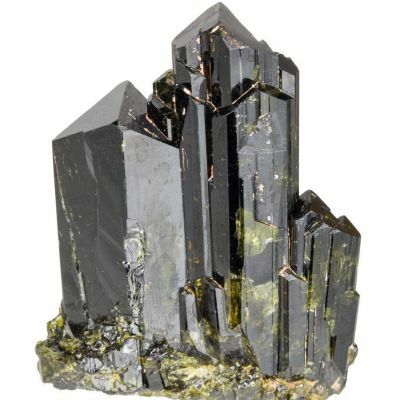 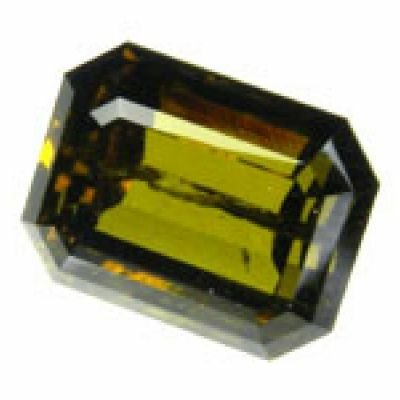 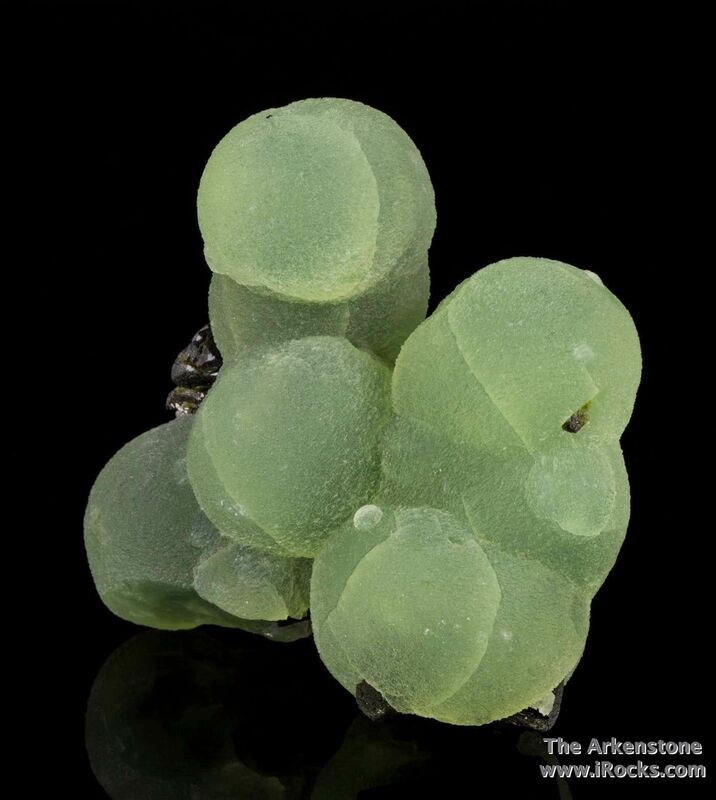 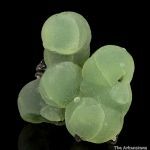 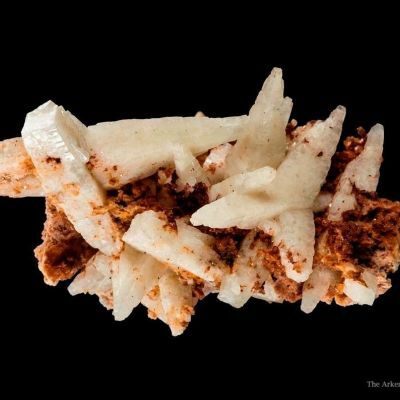 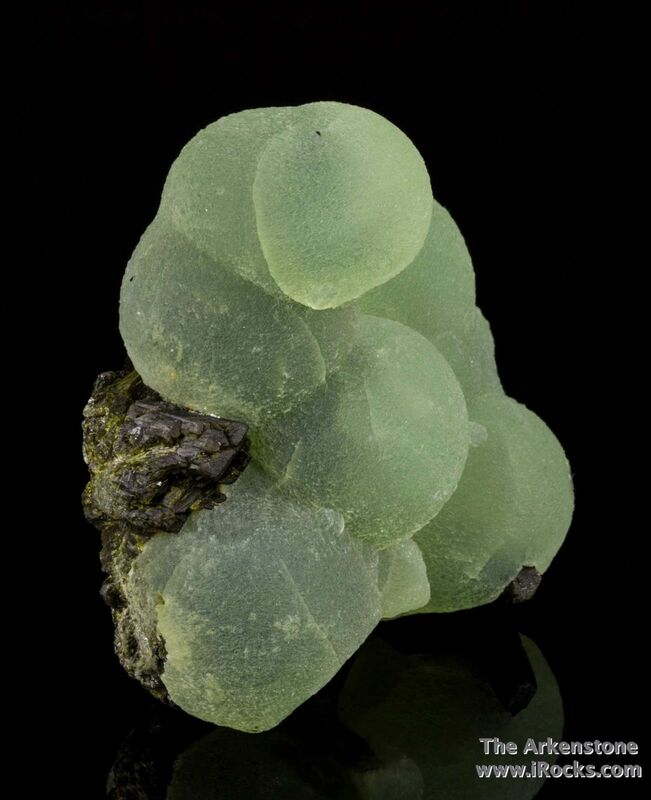 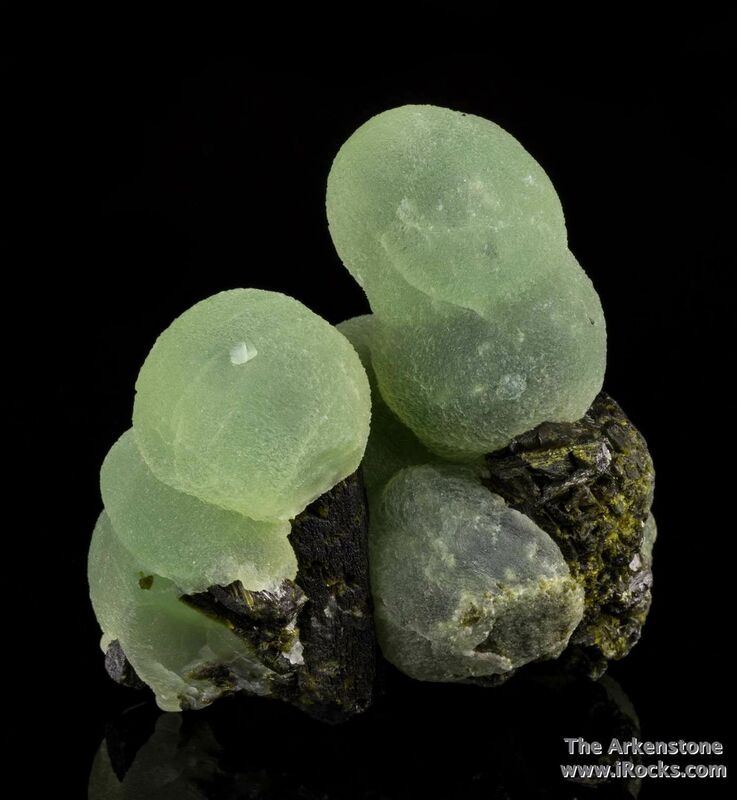 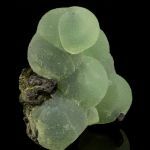 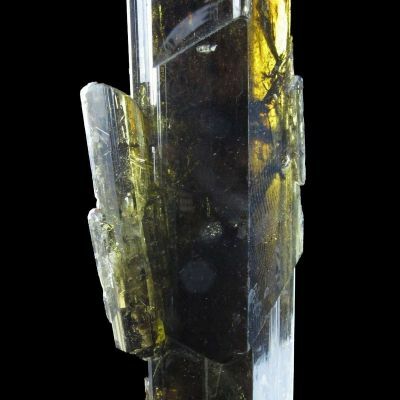 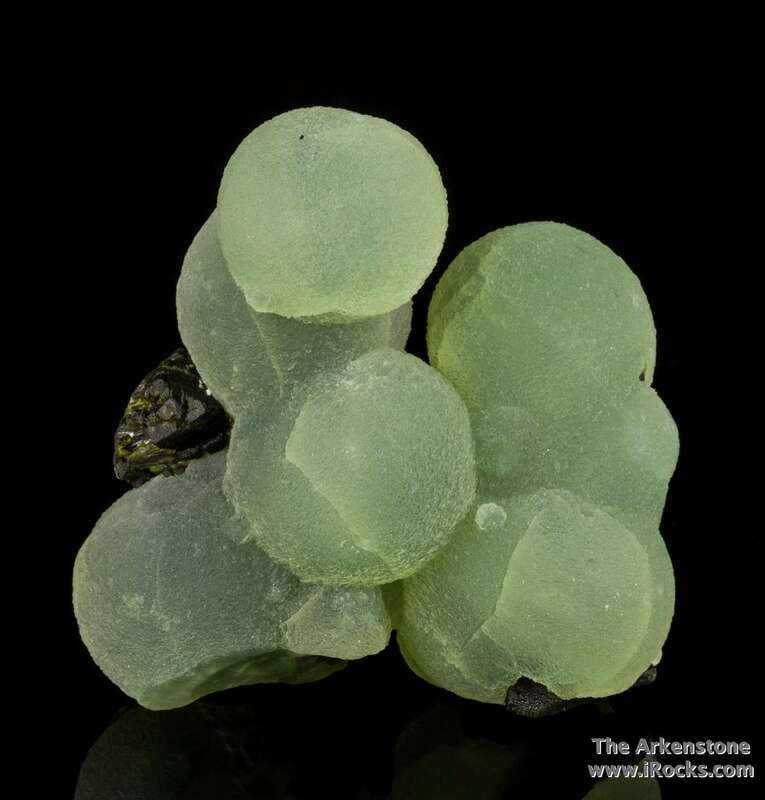 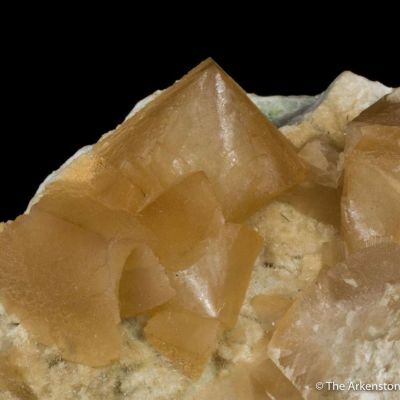 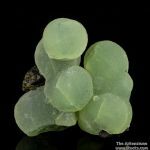 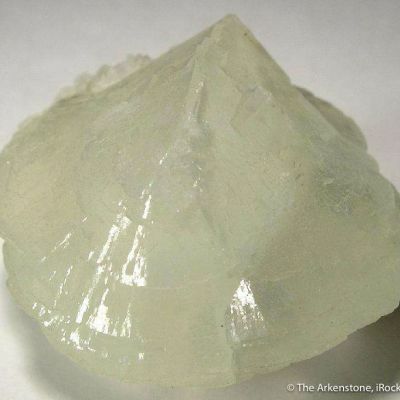 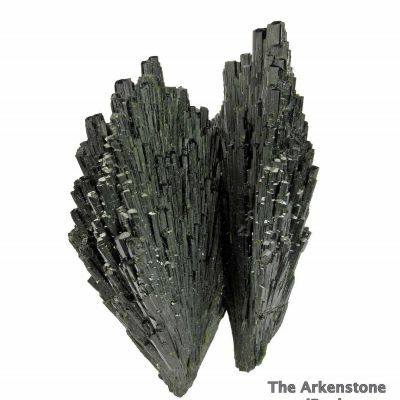 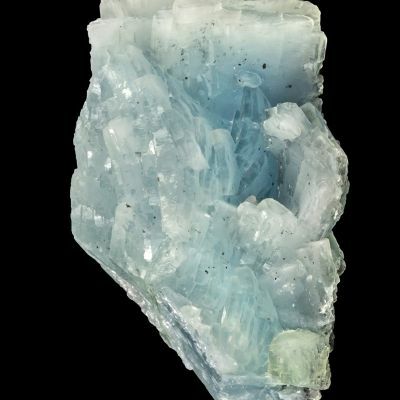 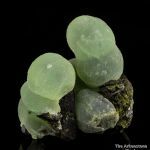 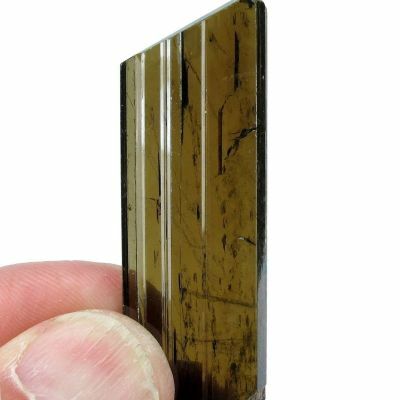 Clustered atop lustrous, blackish green epidote crystals, to 3.7 cm in length are intergrown, lustrous and translucent, apple green spheres of prehnite, to 3 cm across. 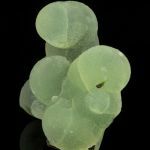 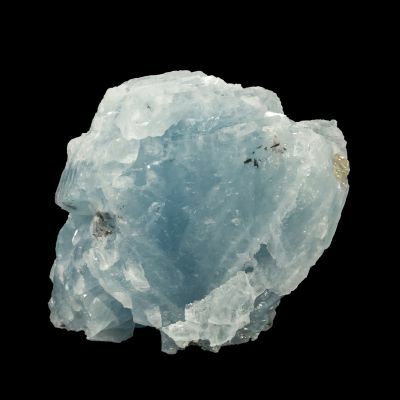 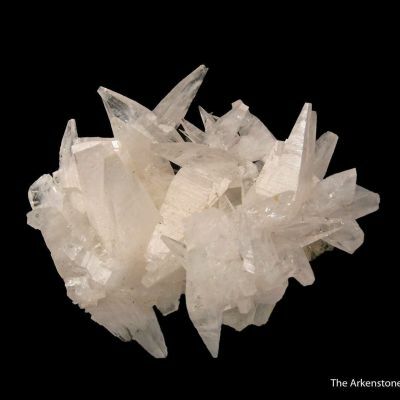 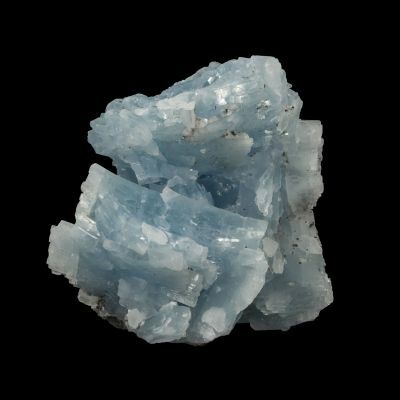 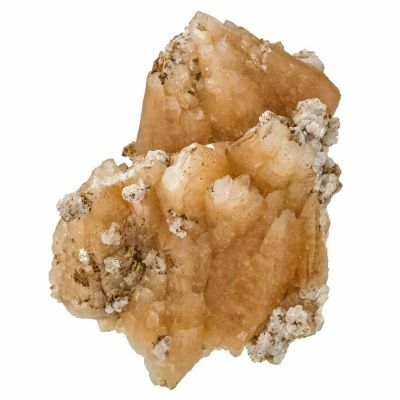 These pieces have unusually good translucency and color for the material, which has been on the market in quantity if not quality.